Stella V. Cagle, 93, of Red Bank passed away Monday, January 28th with her family by her side. She was born in North Carolina to the late Fulton and Mary Hamilton. 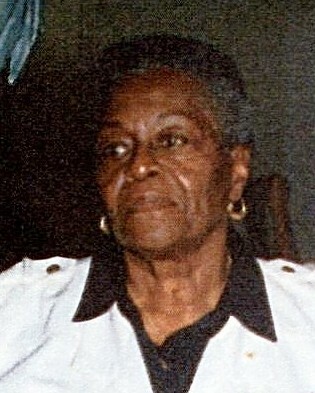 Stella was a member of the Eastern Star and the Elks Club on Shrewsbury Ave.
She is predeceased by her husband Chall, her sons; Willie, James, Larry and Alvin; her grandson, Parrish Portee and her great grand-daughter Nadeerah. Stella is survived by her beloved daughter Mary Portee; her loving grandchildren, Robert, Tamika, Shayne, Corey, Daren, Lamont, Alvin, Damian and Katrina. Also surviving are many great grand-children and Nieces and Nephews. A life celebration will be 4:00 pm – 8:00 pm Tuesday, February 5th at the John E. Day Funeral Home 85 Riverside Ave. Red Bank, NJ 07701 with a funeral home service on Wednesday, February 6th at 11:00 am. Entombment will immediately follow at Monmouth Memorial Park Cemetery, Tinton Falls, NJ.